5 Exciting Reasons We're Looking Forward To February! Are you sick of spending all your weekends and hard earned money in nightclubs, bars and on dinner dates? Having similar plans every weekend might get a little monotonous. But here are 5 fabulous festivals you can attend instead and create memories for a lifetime. So what are you waiting for? Make a WhatsApp group with all your friends right now and get the trip planning discussions going. Sounds amazing, right? If you are thinking of diverse yet fun things to do right before Valentine's Day, we have got you covered. 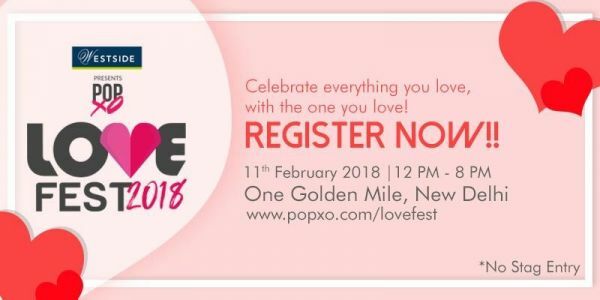 We bring to you the POPxo Love Fest. With delicious food, indulgent desserts, great goodies and affordable shopping - this is the best way to begin the love week with a bang. Mark your social calendar already! A 9-day long art festival, artists from all over the country and world will be showcasing their talent. The perfect visit for everyone as you will get the chance to interact with artists, authors, check out their picturesque work. And all of that while sipping on the best hand-brewed coffee. 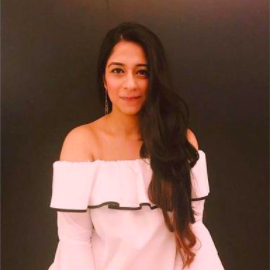 All wine lovers should ascend at the Sula Fest next week because the festival is all about tasting different types of wine, food, and enjoying great electronic folk music. We can already predict what an amazing weekend getaway this will be. At the World Music Festival, witness incredible performances of acclaimed musicians from across the world. The event is said to create new landmarks in the field of music with over 150 artists participating from over 16 countries. Some of the prominent musicians who will enthrall you with their amazing melodies are Kabir cafe, Azam Ali among others. Oh, and traditional Rajasthani cuisine is a major bonus! 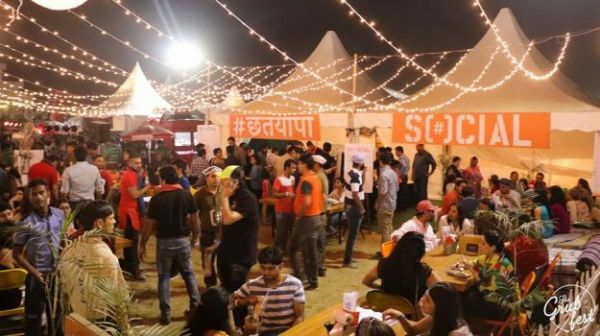 India's biggest food festival is back with its second edition in the city of Gurugram. There will be some amazing restaurants that will serve a variety of delicious food. To make this even better - there will be a lot of hearty performances to keep you entertained all night! Like we need a reason to fly to Goa but it gets better with the Goa carnival scheduled at the end of the month. One of the most exciting festivals as you will get to explore different cities of the party state. The event promises some insane performances, a lot of alcohol (obviously) and a lot of great parties that will take the prime spot at the carnival. Checking up airline prices to Goa already? We sure are!